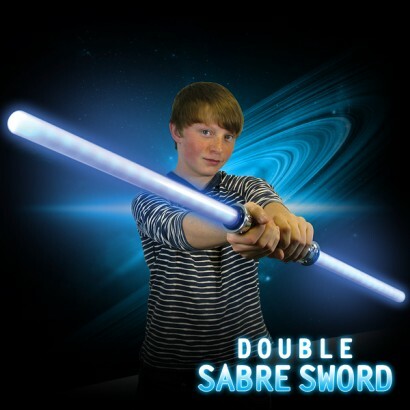 The ultimate Double Sabre Sword! 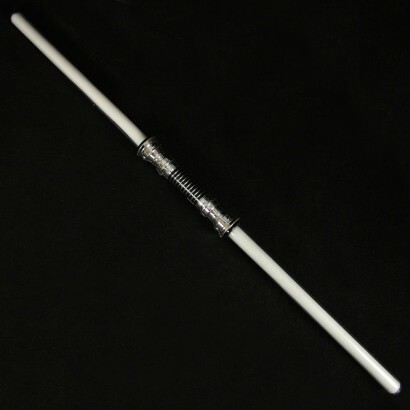 featuring two long illuminated 'blades' with extending and retracting light effects and motion activated sounds! 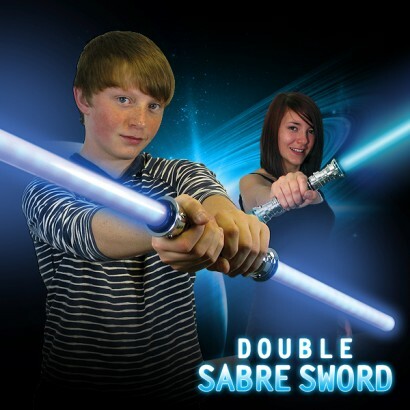 These double light sabre swords are huge - nearly 1 metre in length and make for an impressive Star Wars themed toy, simply press a hold to see the blade expand, and then release to retract in a effect that would have Darth Maul shaking in his boots!